I’ve always been fascinated by Fae lore. I grew up devouring Henson and Froud, and reading flashlight Grimm tales beneath my bedsheets far into the wee hours. And while the wondrousness of it all captivated me, I was never drawn to Hollywood’s version of what I would feign to call a Faerie, but rather a cutesy-tootsie “fairy.” Every time that Tinkerbelle wiggled her perfect little pixie nose and sprinkled her stardust like confetti, I just rolled my eyes. No . . . I was intrigued by the dark, visceral Fae creature . . . the one whose tales kept children from wandering into the woods. I longed for the Faeries of days past . . . the wicked, malevolent things that represented the wildness which we once feared; those things that went bump in the night . . . those things that, in darker and more dangerous days, posed a true threat to our safety. As such, when I set out to write a YA Fantasy trilogy surrounding Fae folk, I insisted that they be the dark creatures of a bygone era. I knew that they must be of the dirt, and of the swamps, and of the wet, miserable bowels of the earth. And yet . . . because our forests are now all neatly trimmed with proper pathways, park rangers, and GPS signals, I knew that I must give readers another reason to fear the lofty outdoors. Enter--the Faerie changeling. While Fae folk and Changelings have not always been a package deal, I saw it as a natural fit. These bestial, maligned creatures who existed in the harshness of the elements whilst we curled up on our downy couches and ate fistfuls of popcorn would surely covet our lifestyle. Surely they would want to partake of it. But I had made them so hideous, so repugnant . . . how could they walk side by side with us? Why . . . by stealing the body of a human child, of course! I quickly found that the introduction of a malicious, child-snatching element led me down an entirely new and rather compelling path. 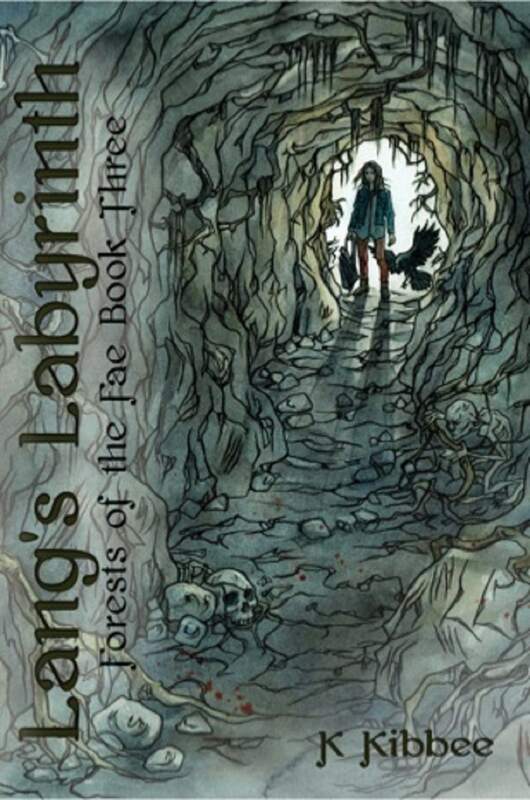 Particularly into book 3 (Lang’s Labyrinth), I expounded on the idea that the entertainment industry’s softening of the Faerie/Fairy image was an orchestrated one. My familiarity with Andrew Lang’s compilation of historical Fairy Tales hatched the imagined notion that Lang himself was at some point switched with a Changeling, and banished to the land of the Fae. Meanwhile, Lang’s now-Fae counterpart began marauding around in its human suit, urging a makeover of the Fae image in an effort to banish the long-standing fear of the wood, and the creatures that made their home there. In doing so, Lang would lure more starry-eyed children into the forest . . . children who were expecting a delightful little Tinkerbelle, rather than a creature bent on taking their place in the human realm. This rather ‘grim’ (forgive me my pun!) image of the Fae isn’t for everyone. For those who enjoy the sparkle, and the light, and the altruistic little creature who grants wishes and sneezes stardust, I’d suggest that they stick to Disney. But for those of us who are drawn to the macabre, and the “old ways,” perhaps what awaits behind Devlin’s Door will mesmerize you in a way that Peter Pan’s pocket pixie never could. K. (Kristine) Kibbee is a Pacific Northwest writer with an affection for all things literary. Kristine’s passion for creative writing began in her early youth and led her to the doors of Washington State University, where she studied in the Professional Writing program. Kristine followed her scholarly pursuit of writing by publishing works in The Vancougar, The Salal Review Literary Review, Just Frenchies magazine, and S/Tick Literary Review. She is presently a regular columnist for Terrier Group magazine. Kristine’s novella, The Mischievous Misadventures of Dewey the Daring , was her first and only self-published release, and is still currently available on Amazon.com. Her middle-grade fantasy novel, Whole in the Clouds , was released in November 2014 with Zharmae Publishing, with a subsequent, expanded edition published in October of 2017 by Incorgnito Publishing Press. The first installment in her YA fantasy series, Forests of the Fae--Devlin’s Door , was released in early 2016 with Incorgnito Publishing Press. Book two in the Forests of the Fae series (The Raven Queen ) followed in February of 2017, also with Incorgnito Publishing Press. For more information visit incorgnitobooks.com, and connect with K. Kibbee on Facebook @KKibbeewrites and Twitter @K_Kibbee. There are legions of us out there, tired of the pale and impotent versions of fairy tales, who hunger for stories such as the “Forests of the Fae” series by Kristine Kibbee. Stories that are dark, with meat on them, that horrify as well as enchant. I am grateful for her writing. Sounds like you my like my book of short stories, From Faerie! But I agree. Is It Possible That You Have PTSD?